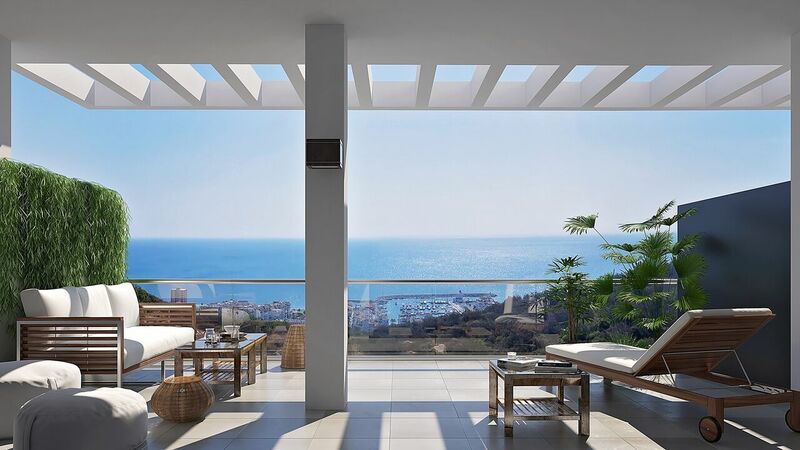 Beautiful apartment with sea views and first line golf. The apartment has 2 bedrooms with fitted wardrobes, two bathrooms, spacious living room with direct access to a terrace with panoramic sea views. Kitchen not furnished with possibility to make it open. Parking space and storage included in the price. The urbanization has gardens and communal pool with panoramic views and is located next to the Miraflores golf course.